The planet Jupiter as viewed through a small telescope. Notice tiny pinpoints of light to the right of its disk. These are three of the galilean satellites or moons. On any given dark, clear and moonless night, just step out into your backyard, and look up into the night time sky. You will be surprised at the thousands of sparkling gems that are visible to the naked eye. Some give give off a steady light and than there are others that twinkle rather quickly against the blackness of space. 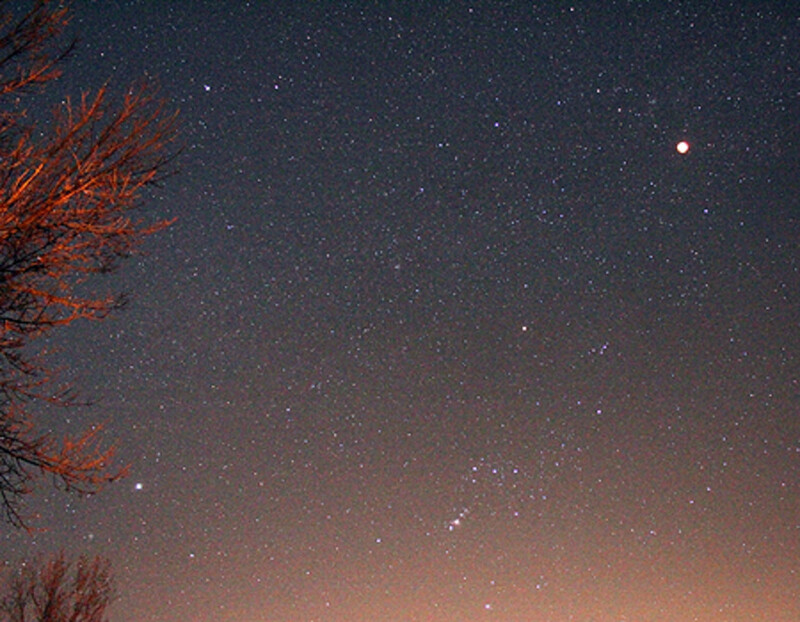 Observing the sky is a great way to get your mind off of the bone-chilling reminders of winter. Most of us here in the northeast find ourselves in the icy and snowy grips of old man winter. However the science of observing the heavens is not only for the young at heart, but it is great if you're older as well. And besides with nothing else to do on a cold, dark night, but to sit around the fire with a cup of hot chocolate in hand, possibly thinking about how depressed you are; or how much those aches and pains are overwhelming you. Why not try something different and go out by yourself or with a few friends to do some winter stargazing. You will not only be surprised how good of a time you will have, but there are a number of celestial objects that you can view during this time of the year without the aid of a pair of binoculars. However with a good pair of (7x35) magnification binoculars objects that appear to be in faint clusters will certainly be easier to make out. 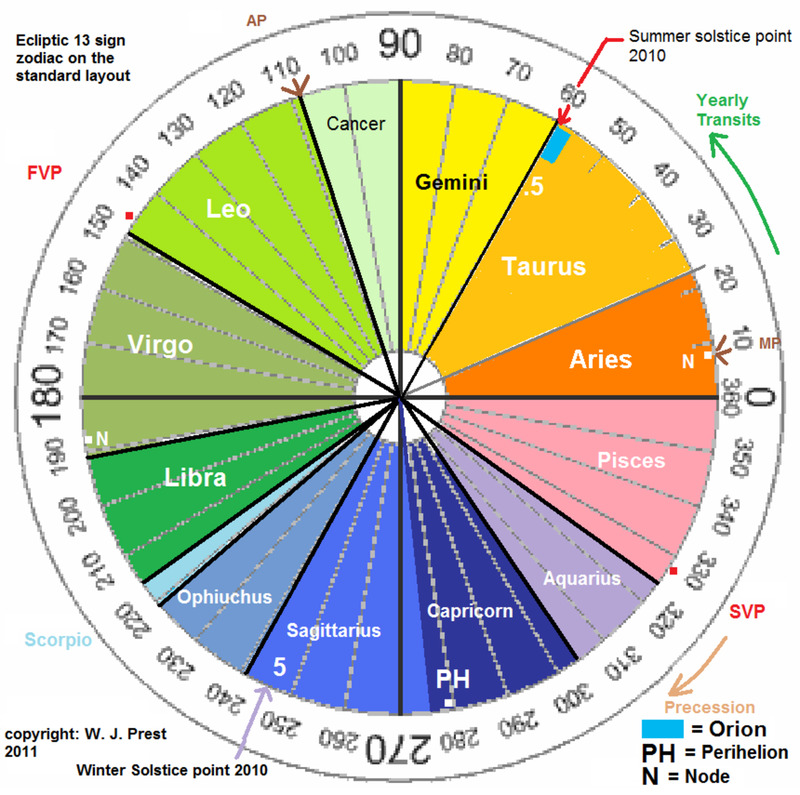 I also recommend a good, but simple star chart, nothing fancy. I have included one in this article to share with you, that shows the night time sky during mid- January. Please be aware though that this map currently displays the night time sky in the Northern Hemisphere. If you are currently in the Southern Hemisphere, you will be able to go online to download a star map for your location. A few websites that I find useful in accessing these type of charts is either at http://www.astronomy.com, http://www.skyandtelescope.com, or http://www.topastronomer.com. Here you will be able to view or download the interactive sky charts, that are available for the hemisphere that your are doing your observing in. During the evening hours if you look out towards the southeast you will be able to see a very bright star, glowing in a steady yellow-white light.This is the planet Jupiter. And if you are fortunate enough to have clear viewing conditions; you may also be able to see with binoculars, four of Jupiter's main moon's or satellites. 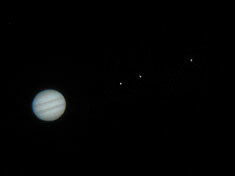 These Jovian moon's as they are so-called are: Ganymede, Callisto, Europa and Io. Through a pair of binoculars they will appear as tiny pinpoints of light or white dots on either side of the planet. And if you are still fortunate enough you may be able to get a glimpse at the so called cloud bands that cross the face of the giant gas-planet. You should be able to pick up one or two of these bands if conditions are favorable through a pair of binoculars. If you take your arm and extend it outward towards Jupiter, place your thumb on the planet if you will, than spread your forefinger outwards and away from your thumb. This separation of distance is a quick way that I found and works well in determining the amount of separation or degrees one object is from another. Well than, about two degrees above Jupiter, where your fore finger lies above your thumb, point your binoculars in this direction. If you have a dark cloud free sky and away from the glare of nearby city lights. You should be able to pick out the faint but greenish-blue hue of one of the solar systems gas giants. And this gas giant is Uranus shining at about 7th magnitude, which makes it a bit difficult to see with the naked eye. Usually without optical aid the human eye can only visualize objects of about fifth to sixth magnitude at most. A good pair of (10x50) Binoculars will make finding Uranus a whole lot easier. If you are an early riser than you will also be able to see the Planet Venus shining a brilliant white in the sky at about 4A.M. to 6A.M. Venus is very much like our own moon in that it goes through phases just like the moon. From a thin crescent to a full gibbous phase. Its phases in other words wane and wax just as the moons do. During the winter months in the northern hemisphere, you will find earth's moon to be at the waning gibbous phase; as it displays less and less of a prior full-gibbous moon, until it once again reaches the new moon phase. With a small telescope you will have no difficulty seeing the current and future phases of Venus. A pair of Binocular's is just not quite powerful enough to do the job, even during a clear, haze free morning. A good pair of Binoculars however can be purchased for about fifty to sixty-five dollars on Amazon. Also the nearest neighbor to our own earth, the planet Mercury, may be seen in the early morning along with Venus. Mercury sets about an hour or so before Venus, and you may have difficulty seeing it. For one, its not nearly as bright as Venus is right now, and secondly it tends to get lost in the approaching light of dawn. It helps to have a treeless horizon, looking out over the ocean or other body of water to visualize Mercury about three to four degrees below Venus, and to the East Southeast. Not to worry, you will never be bored looking at the winter night time sky, or the sky in general at any time of the season for that matter. Because there are still countless other constellations and binary or double stars; and star clusters that can still be seen with the naked eye, or with a cheap pair of binoculars. I like starting out by looking at a few star clusters that I do not need optical aid to make out. 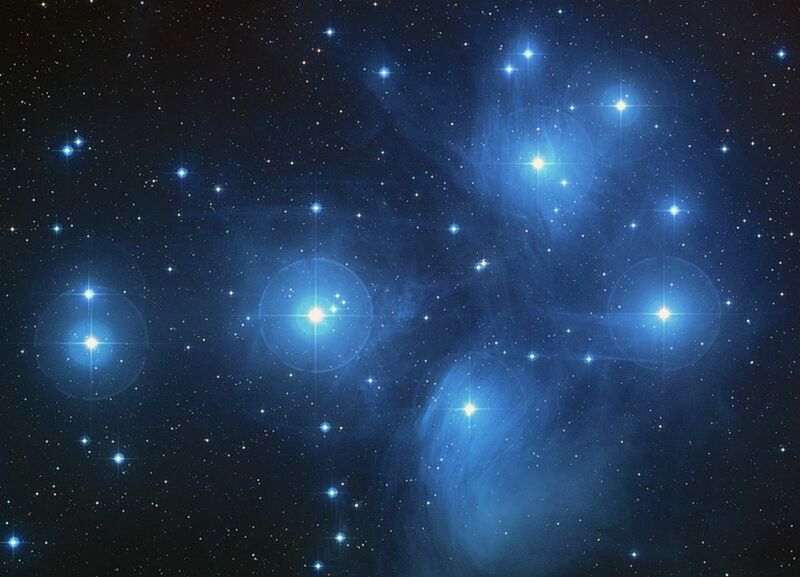 The Pleiades or seven sisters as this cluster of stars is commonly referred to as can be seen low in the winter sky, starting at about 9P.M. And it will be visible all through the night as it climbs high above the zenith or point right above your head, so to speak. With a decent pair of binoculars you will be able to see seven to eight bright, bluish-white stars that the binoculars field of vision separates for you. It is an awe-inspiring sight to any pair of eyes that lays sight on this cluster of stars. The Pleiades is located in the constellation of Taurus the bull, which is in the same general location as this star cluster. The naked eye will be able to see a group of stars that looks like an upright V. This is Taurus the bull, and if your eye is sharp enough you will be able to distinguish a reddish star in the upper left hand corner of the V. This is the Super-Red giant star Aldebaran. It is indeed a splendid sight to view with a pair of binoculars. Also once you have been outside for awhile and away from the light of indoors, your eyes will now have had a chance to adjust to the darkness around you. You in turn will be able to notice more and more objects in the sky now, that literally pop out at you. Objects that you may not have noticed a half an hour or so earlier. 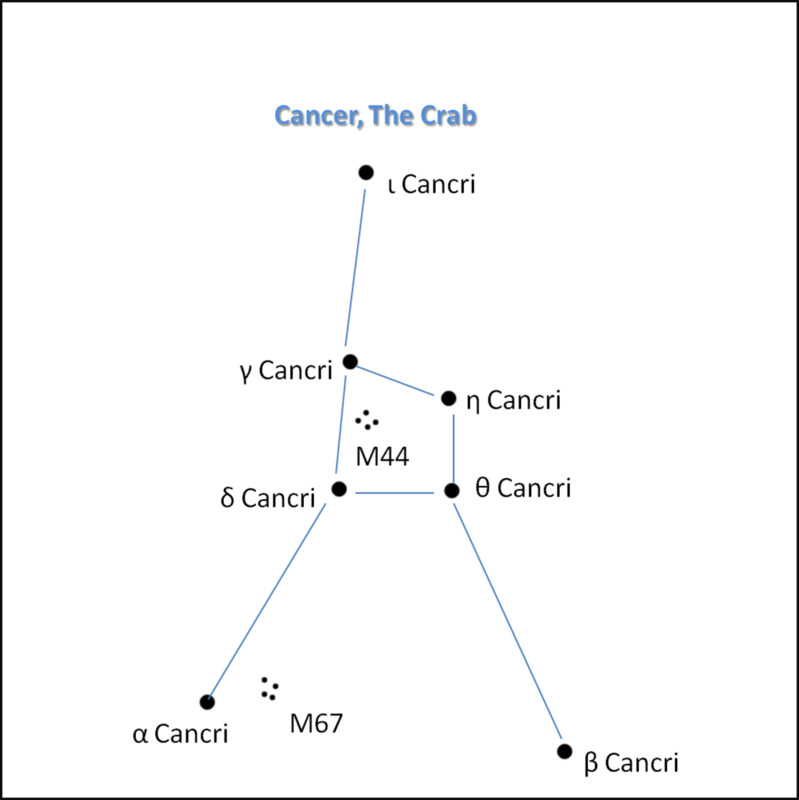 See if you can locate a group of stars that are not too bright, but form a definitive square or large rectangle. Try looking in the same general direction as you did when observing Taurus the Bull and the Pleiades. Once you have found four fairly faint stars that make up this large square, you will have found the constellation Pegasus, or the Great Square as it is often called. Try looking for a small fuzzy object out of your peripheral vision. Or to make life easier utilize your binoculars. This faint fuzzy object discernible to the naked eye is (M-31) or the Andromeda Galaxy. The Andromeda Galaxy should appear right below the great square, or a bit to the left of it. 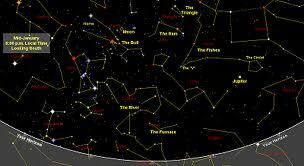 The constellation Andromeda is also a part of this general area of sky. However the Andromeda technically lies between both of these constellations. The Andromeda Galaxy, or (M-31) is the closest neighboring galaxy to our own Milky Way Galaxy. It is also a spiral type galaxy like our own milky way. The Great Square and Andromeda Galaxy do lie a bit further than to the North Northeast than Taurus the Bull does, but not a significant distance away. Remember when in doubt utilize your sky chart, if your not sure exactly where the sky object you are looking for is, at the particular time of night sky that you are viewing it in. There are so many celestial objects...planets, constellations, nebulae, star clusters, galaxies, asteroids etc... etc... too many to mention alone in this article. Hopefully some of the objects that I have mentioned here for starters will help get you acquainted with the night time winter sky. Glenn: Traffic is always welcome, to help increase visibility as well as revenue. I greatly appreciate you tweeting this article for me. I too have to read over a couple of your recent articles. Which I'm sure are great, including the one I missed about expansion of the universe. Keep an eye open for my comments, and good to hear from you as always! Thanks Jim. Yes, I actually ellaborated on the expansion of the Universe in a recent hub which had a religious twist to it. By the way, I just tweeted your hub. Hope it brings you some more traffic. Truly glad you enjoyed this Astronomy based article of mine. I see you have an appreciation for this area of science as I do. It is in a way, another avenue that I use to help me relax, or for better words drift off into another realm. By continually crafting articles, like this particular one, with others who share the same interest as we do. We can further learn and meditate from what we have experienced from being star gazers. Using this example as an illustration. And if you want to expand on how and why things in our own Galaxy etc... Are moving away from us. Then, you find yourself possibly entering into how someone like Stephen Hawkings envisions the Universe. As you can see this topic can get complicated. Especially if you want to go beyond just exploring Jupiter, it's four major satellites and the Andromeda Galaxy, our closest neighboring Galaxy. And YES! All you need to enjoy the night time sky, anytime of the year. Is a cheap pair of low power Binoculars and a dark viewing location, similar to that of the Poconos. Thanks Glenn again for your comments and hope you enjoyed the article. Excellent review of what we can see from our location in the northern hemisphere. I remember observing Jupiter and four of its moons when I was in the Poconos. At night there are no city lights there and this made it easy to see. I had a simple cheap pair of binoculars. I also caught site of the Andromeda Galaxy a few times, so I knew exactly what you were talking about. I remember thinking how cool it was that we could see that, as long as we are away from city lights. I also always found it interesting to think about where we are in our own galaxy when I see the band of stars reaching across the sky that is representative of the other end of our Milky Way Galaxy. It looks that ways since we live on one corner of the Milky Way. We live in an interesting time right now since we have the technology to accurately record movements of other planets, solar systems, and galaxies. Thus giving us a way to determine where we all started from. It's so very interesting that all these objects are moving away from one single central point in the Universe. Thanks for reading one of the very first Hubs I had written as a newbie to Hubpages. Astronomy like Birdwatching is a favorite pastime of mine, or you could say inspirational hobby so to speak. I've been putting off Sky watching lately, because of the brutal winter we've been having here in the Northeast. However during an occasional Saturday evening, I'll make a short trek to the local observatory where it is a bit warmer. And enjoy what splendors the night sky has to offer to all of us! My advice when you do finally purchase your first scope. Go with a 13 inch reflector. The reflecting telescope will definitely give you clearer and sharper views of the moon and planets. Mainly because of this scopes light gathering capabilities of its primary and secondary mirrors over the Refracting scope. Thanks again for reading my article and happy stargazing to you! Thanks for the primer about the heavens. One of my dreams is to own a very nice telescope that can reach those heavens with ease. If I ever write that bestseller it will be one of the first things I buy.